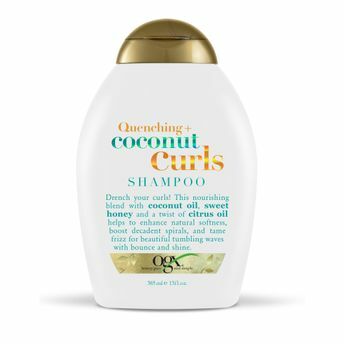 Enhance your natural curls, waves with bounce & shine, tame frizz and nourish hair beautifully with OGX Quenching + Coconut Curls Shampoo.This rejuvenating shampoo is a blend of luxurious coconut and citrus oils combined with sweet honey that De frizzes, hydrates your hair and brings out your best curl days every day. Curls look better when they’re quenched. 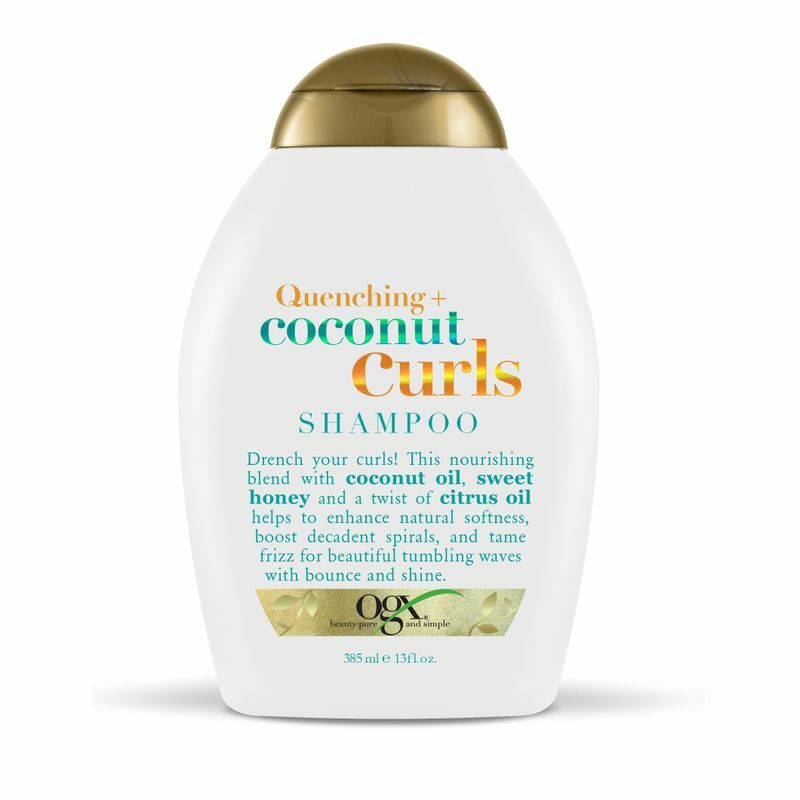 So treat your tresses to this nourishing and frizz-taming tropical blend, with coconut oil, sweet honey and citrus oil, for hair that’s as beautiful as it is bouncy. This shampoo enhances the natural softness of your hairs. This shampoo effectively tames frizz and boosts decadent spirals. Additional Information : OGX is for all people, who aspire to make better choices. These hair products are paraben free, salon inspired formulas containing active ingredients. Now each day is best hair day with OGX shampoos! Explore the entire range of Shampoo available on Nykaa. Shop more OGX products here.You can browse through the complete world of OGX Shampoo .